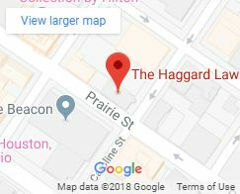 The Haggard Law Firm, located in Houston, TX, has over 30 years of legal experience and a verifiable winning record defending clients against the state in all areas of criminal defense. Carl Haggard – lead defense attorney – is an Ex-Chief District Prosecutor, which provides him with the knowledge to give his clients the best legal defense possible. 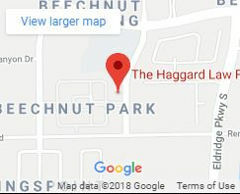 If you have been charged with a misdemeanor or felony crime in Houston Texas, Harris County, or surrounding areas, do not hesitate to contact The Haggard Law Firm today. We offer a confidential free consultation to discuss your case. You will speak directly to an attorney who is passionate about helping the accused and we will to go work immediately to defend you against your charges. For your consultation call 832-328-0600 or email us using the short form. We also have two convenient locations – Downtown Houston and West Houston.